Instrumental Music Teachers are site-based, providing daily music instruction to students within their school. These instrumental directors are full time at one school. They are highly skilled, highly-qualified, certified Music Educators and direct either band or orchestra, although sometimes both as they oversee their school’s entire music program. Music Appreciation and Music Theory are often taught as part of the music curriculum. In addition to the many concerts and performances each year, many directors conduct and produce a musical each year in partnership with their drama and dance programs. Class Instrumental Music Teachers (CIMTs) are allocated and assigned throughout schools across the District to provide the greatest number of students with equitable and consistent access to relevant, meaningful, and high-quality instrumental music instruction. CIMTs are highly skilled, highly-qualified, certified Music Educators, categorized by specializations in Strings, Woodwinds, Brass, and Percussion. CIMT instruction is typically first offered in third or fourth grade and continues through high school, though in some circumstances instruction is available for younger students as determined by the availability of age-appropriate inventory. Allocations and assignments are based on various criteria including equitable distribution, student enrollment, the available inventory of instruments, adequate and safe environment for instruction and storage of inventory, and accessibility of students. Consideration is also given to establishing feeding patterns within Learning Networks to provide opportunities for continuous instruction through graduation. At the high school level, Class Instrumental Music Teachers are allocated in support of school-based Instrumental Music Teachers and are assigned based on their specialty and the needs of the program. 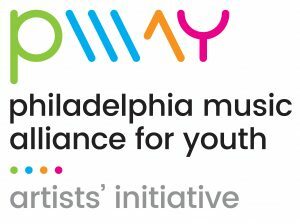 The Philadelphia Music Alliance for Youth (PMAY) Artists’ Initiative is a project that supports 5th-12th grade students from underrepresented communities and low-income households to pursue their dream of becoming a professional classical musician. The PMAY Artists’ Initiative offers young musicians financial support to make lessons, music classes, youth orchestra participation, and summer music camps affordable. As a PMAY artist, students attend free college and career preparation workshops, and PMAY teachers and staff work with each family to ensure that each musician has an instrument and a strong plan in place for acceptance into a conservatory, college or university majoring in classical music. PMAY was established to address a major issue in American classical music. Fewer than 5% of musicians in professional American orchestras are African American or Latino, and the number of South Asians, Pacific Islanders, American Indians, and Alaskan Natives are similarly low. Yet the cities that support these orchestras are racially and ethnically diverse. Philadelphia is the first city in the nation to address diversity in classical music on a city-wide level and aims to change the face of classical music throughout the country. PMAY’s participating organizations are Musicopia, The Philadelphia Orchestra, Philadelphia Sinfonia, Philadelphia Youth Orchestra, Play On, Philly, The Primavera Fund, Project 440, The School District of Philadelphia, Settlement Music School and Temple University Music Preparatory Division. For more information, visit www.pmayartists.org!